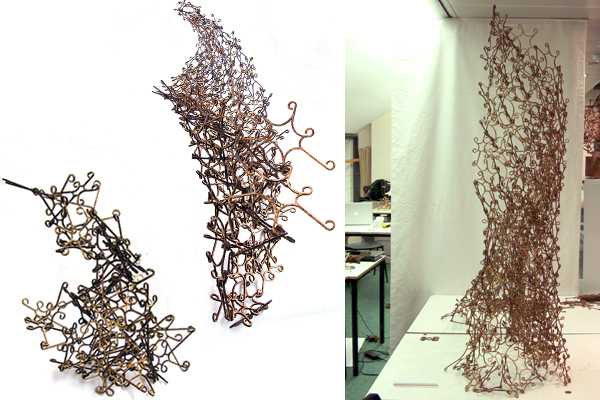 Phase 1 workshop ‘FabWare’, taught by Alisa Andrasek and Jeroen van Ameijde. 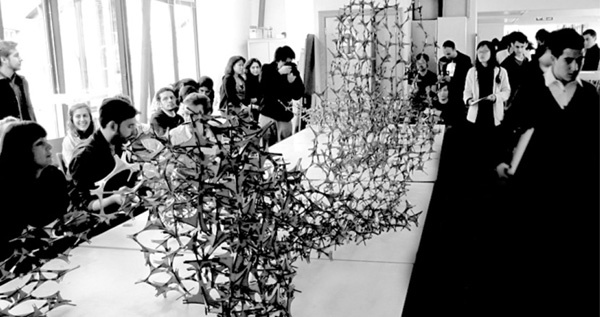 This workshop offered an introduction into generative systems using specific computational procedures and physical prototyping. 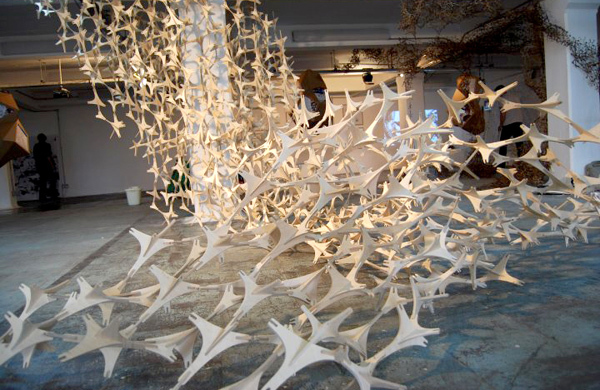 By establishing direct links between behaviour in computational systems and production processes using computer-numerically controlled fabrication equipment, the possibilities for the proliferation of output elements into larger material configurations could be quickly tested and re-iterated. 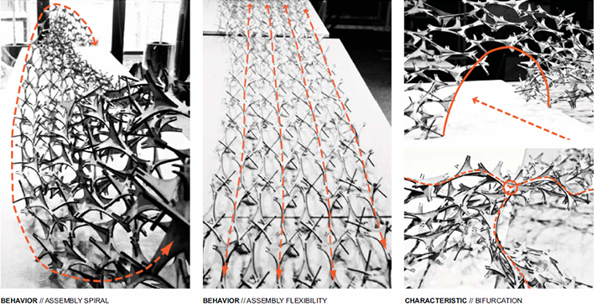 In the development of these design+production systems, the workshop focused on the direct relationships between rule-based code and its corresponding digital behaviors, and the performance of their material systems including structural capacity through material characteristics and connection details, and the patterns of growth over time. During the course of the workshop the emphasis shifted from the experimentation with pre-selected coding examples to the development of customized scripts, which through the experiences with the prototypical output started to derive specific material intelligence based on the physical characteristics of the projects in each team. The aim of the workshop was to generate integrated coding and fabrication algorithms which produced material growth systems which are adaptive, emergent and evolutionary. The final output of each team was a series of scripts, simulations and physical prototypes including a large, final assembly demonstrating the ability of the system to achieve specific fitness criteria both on a local material level and for the overall structure.